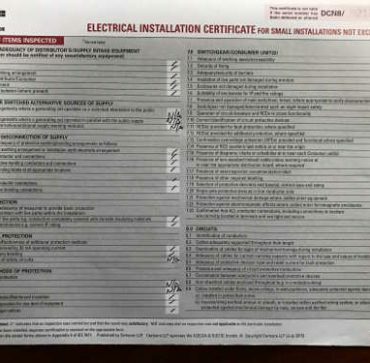 The Electrical Safety Council recommends that Landlords of all rented properties should have the Electrical features of their housing stock inspected every 5 years or at the change of a tenant. Whilst this is not mandatory unless it is a Home of Multiple Occupation ( HMO ) it is considered best practice and can bring significant long term benefits to Landlords as it stops electrical systems falling into significant disrepair. Leigh Electrical offer a complete Electrical Inspection and Certification Service for Landlords in Southend and Essex. We operate 7 days a week ensuring a convenient and time effective service for busy landlords in Southend. As Leigh Electrical are fully NICEIC Registered, all of work is covered by the NICEIC 5 Year Guarantee. To ensure your properties electrics are kept in good condition and remain safe for your tenants, please contact Leigh Electrical on 01702 873350 to arrange a time for us to provide a quote for any Electrical Certification and inspection work you may require. 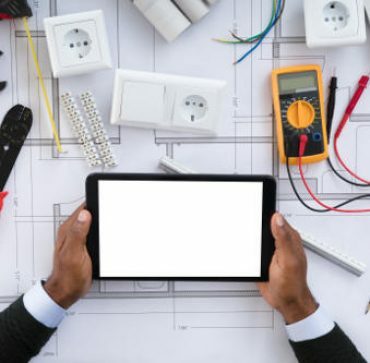 We offer a full compliment of Electrical Services for Landlords and homeowners in the Southend area, all of it covered by the NICEIC 5 Year Guarantee. Landlord Electrical Inspections – Why Use Leigh Electrical? Leigh Electrical have been conducting electrical inspections for landlords in Southend & Essex for decades. We offer unbeatable value for money for our landlord clients and a level of service and professionalism unrivalled in the local area. Our electricians are all NICEIC registered, which means all of our electrical inspection work is to the highest standard possible in the UK. The quality of the service we provide has been recommended numerous times on Trust a Trader and many other online review sites. Our teams operate 7 days a week and can complete landlord electrical inspections at any time convenient to yourself or your tenants. We have significant experience of liaising with tenants and can often arrange inspections without the landlord having to be present. For more information regarding this service please call us directly on 01702 873350 so we can provide you with more information regarding time scales and costs. We are not only fully NICEIC registered but verified electricians through the Governments Trustmark scheme, for reputable tradesmen.